Thank you very much to everyone who came by my table at Birmingham MCM Comic Con, it was great to see familiar faces and meet new people - I had a lovely time with my table neighbours Ryuuza, Fat Fairy, Neil Slorance and An Android Awakes. Thanks to my sister Lisa for sitting behind the table for a bit. MCM was the last convention of the year and I’m looking forward to focusing on finishing comic pages over the winter months. Most events I’m planning to attend in the spring are unconfirmed, but the first show of the year will be True Believers Comic Festival on Saturday 6th February 2016b at Cheltenham Racecourse. 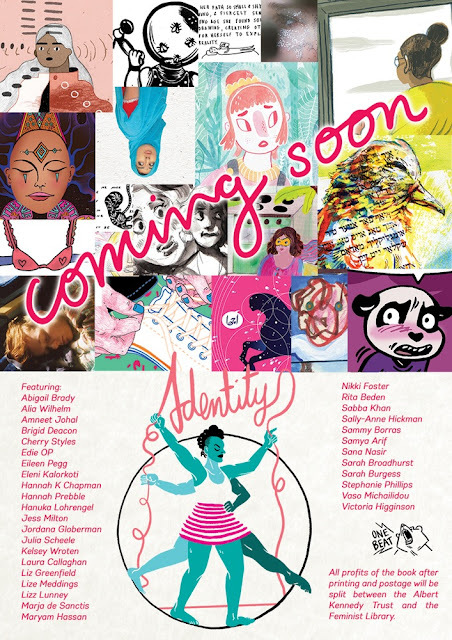 Don’t forget I’ll be launching the Grimes Art Angels Fanzine at that event - submission information here! I make sure to keep a up to date list of confirmed events in the blog sidebar. 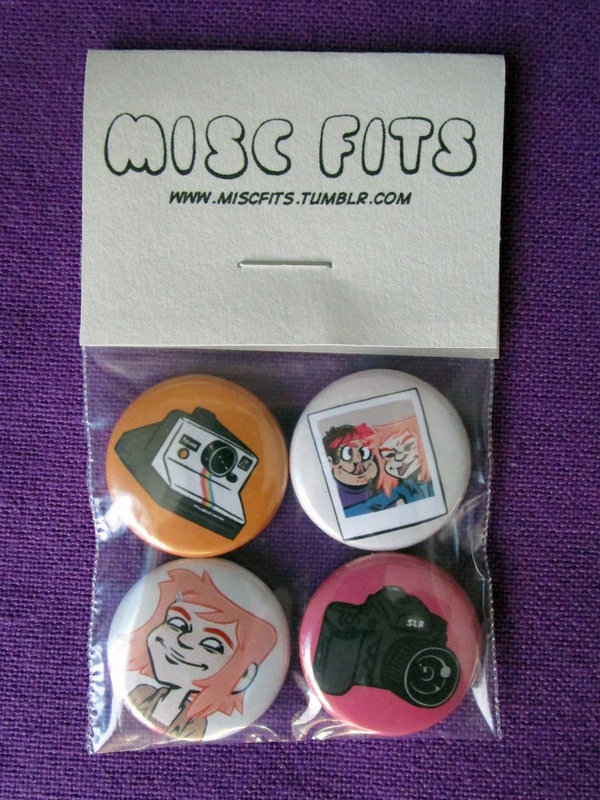 I also have an Etsy shop (includes international shipping). Thanks again for a wonderful con season! Thank you so much to everyone at Thought Bubble this weekend! I had such a awesome time in the Royal Armouries Hall with my table neighbours A Little Lost Caterpillar, Ink and Booze, Paddy Johnston & Samuel C Williams. Special thank you to Charlotte from Laydeez Do Comics Birmingham for watching my table so I could visit the other halls and pick up some beautiful comics! The last convention of the year will be Birmingham MCM Comic Con this weekend! 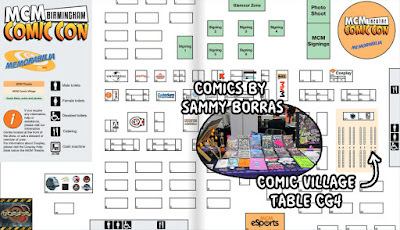 You’ll be able to find table CG4 in the Comic Village section of the hall. 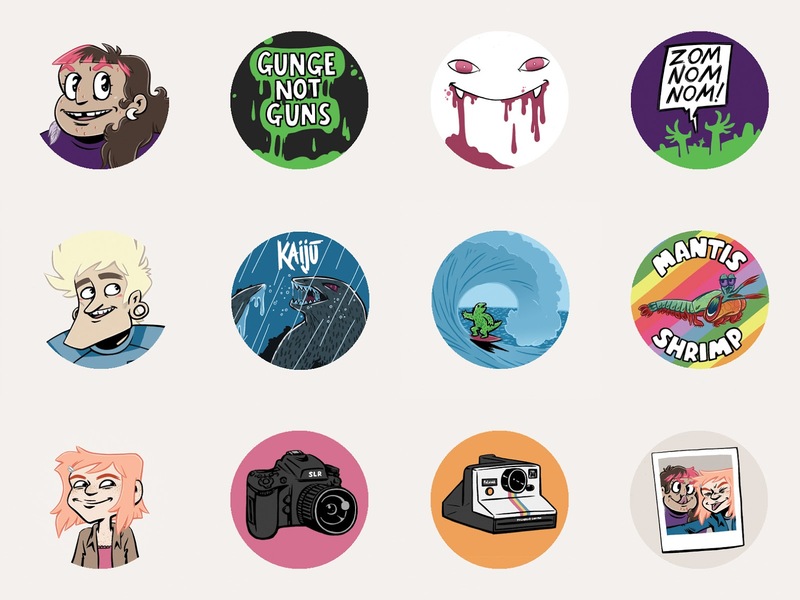 I will be taking all the comics, zines and merchandise in the Thought Bubble photos along with a folder of original drawings. 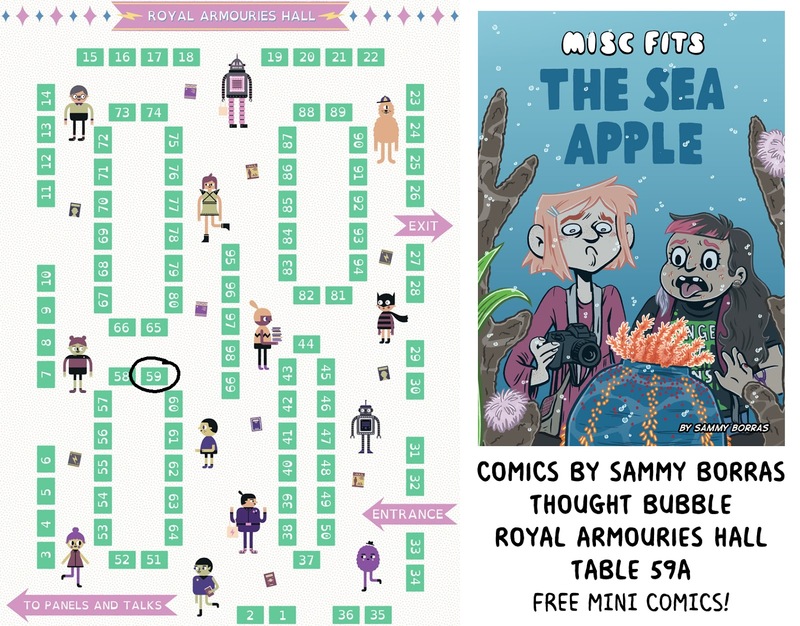 Please come and say hi and pick up a free mini comic! 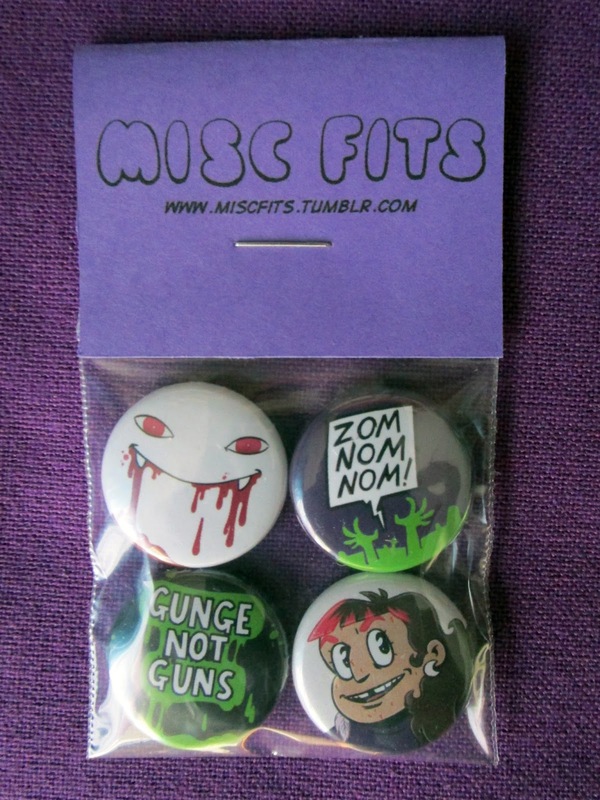 Yesterday I announced a Grimes Fanzine with open submissions! Please visit my music blog www.thatmusiczine.tumblr.com/grimes for more information! 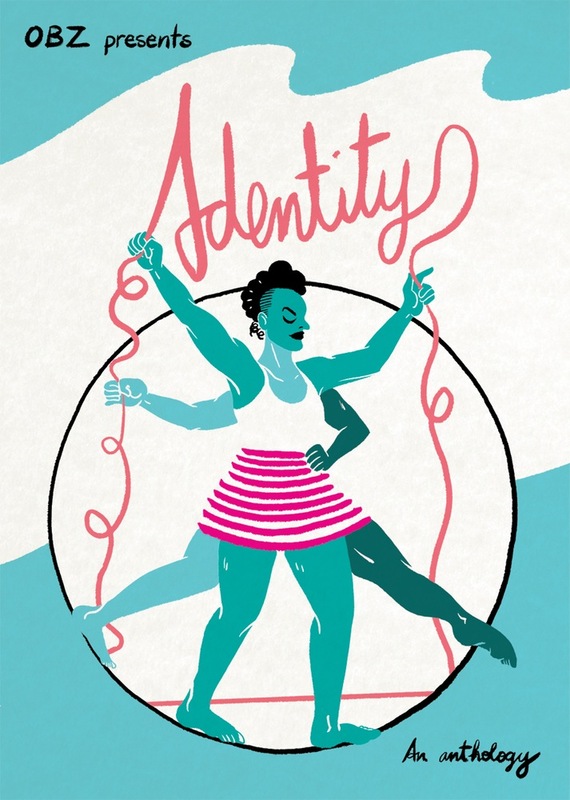 I have a comic in One Beat Zine's new anthology, Identity. It will be launching this weekend at Thought Bubble - table 153 in New Dock Hall. There is a great in depth review by Andy Oliver on Broken Frontier - the site has also named the book 'comic of the week'! If you can't make it to Leeds Identity open for online preorders. Profits after printing will go to The Albert Kennedy Trust and The Feminist Library. 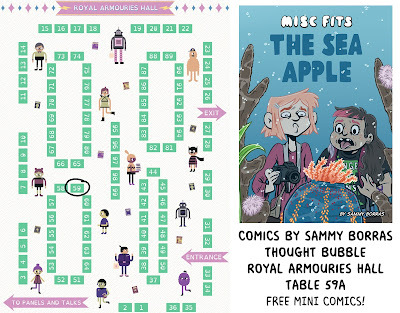 I will also be at Thought Bubble this weekend. I’m sharing table 59 in the Royal Armouries with A Little Lost Caterpillar! Please come by and say hello! 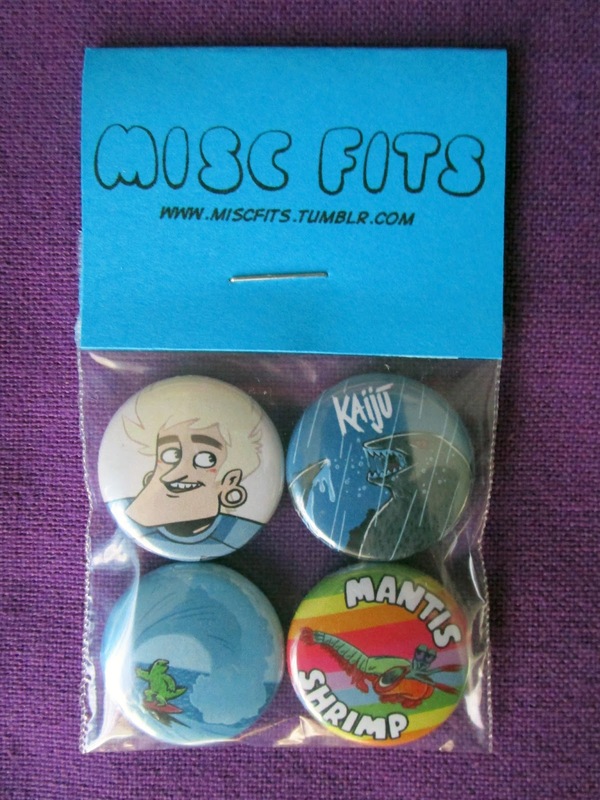 All my usual comics and merchandise including Misc Fits: The Sea Apple and Giant Rhinos In Space will be available. I have a limited amount of copies of The Hallowzine and Radio On Broadcast #2. 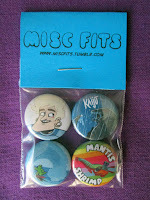 There will be free mini comics to hand out to anyone who would like a copy. 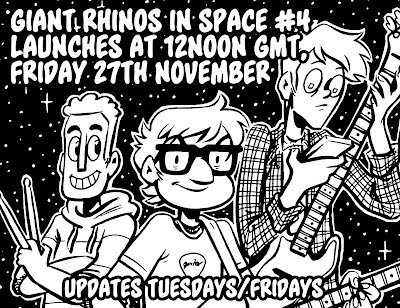 Giant Rhinos and Black Like My Heart are both fictional bands from my comic series Giant Rhinos In Space - you can follow chapters 1-3 online over the next 2 weeks on giantrhinos.tumblr.com (or read via Tapastic/Smack Jeeves). 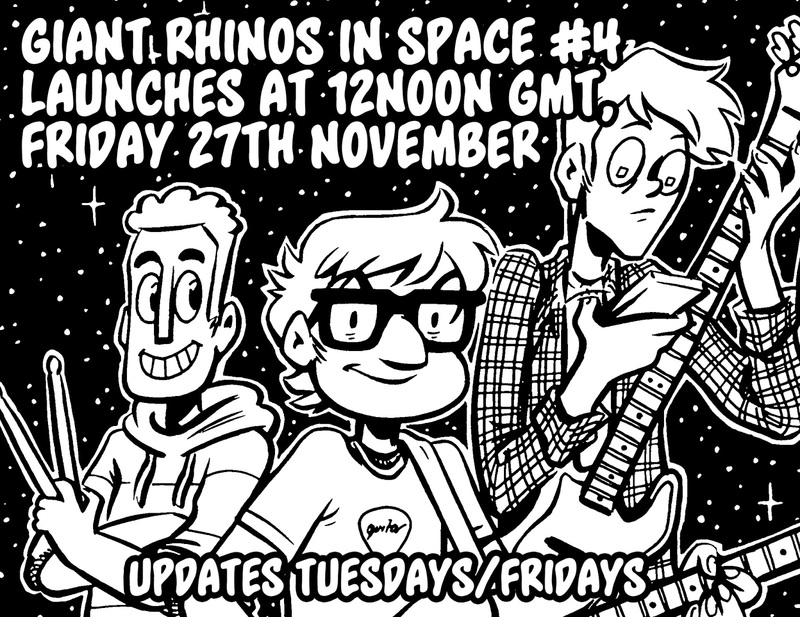 Chapter 4 will be launching at the end of November. 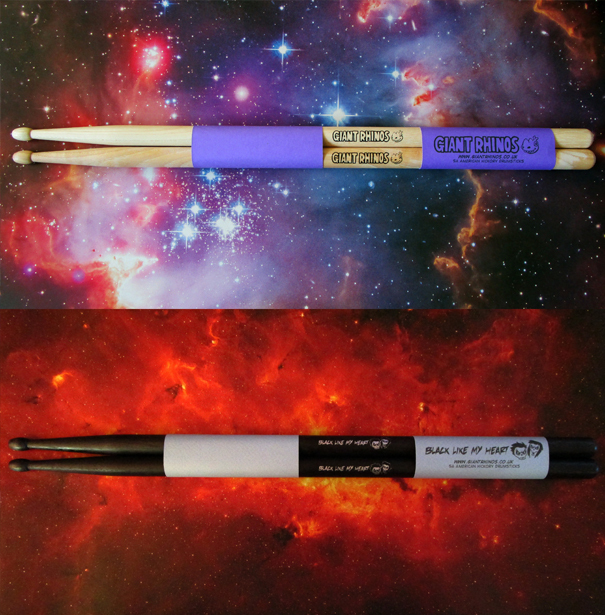 I have 2 conventions left this season - comics, drumsticks, plectrums and more! Birmingham - MCM Comic Con - Table TBC, Comic Village!! I’m going to be taking free mini comics to both events. Please don’t hesitate - if you would like a comic and I’ve missed handing you one, just casually ask me for a business card. 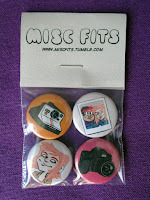 Misc Fits is a series of short story comics I launched this year. You can read The Sea Apple online through Tumblr, Tapastic or Smack Jeeves.